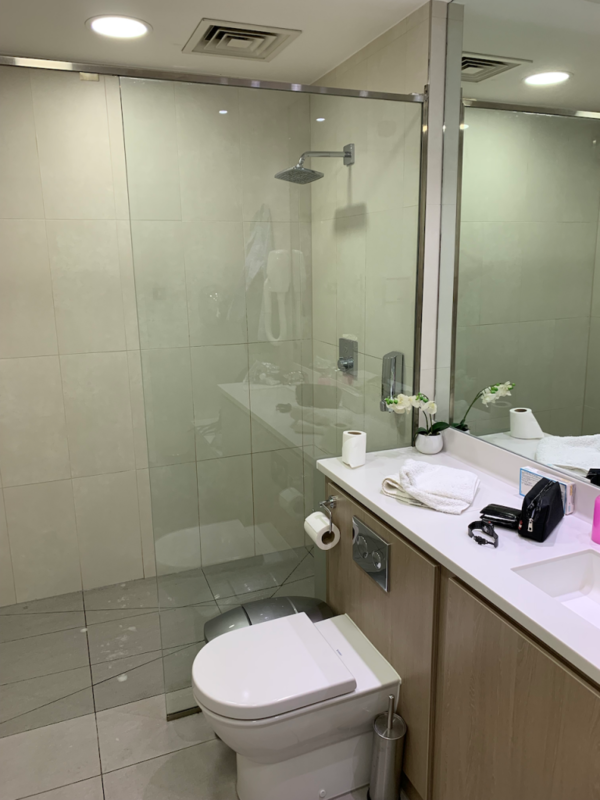 I wouldn’t normally review a Regus office on this blog, however this one is a little bit different to most Regus offices. However, let’s rewind a little. Back in the day when London Gatwick was a proper hub for British Airways, and the North Terminal was newly built, they had a massive lounge complex and also an arrivals lounge, run jointly with the Sofitel. It was known as “the hub without the hubbub”. Unfortunately those days are long gone and there’s no longer an arrivals facility to use. I was flying back from Fort Lauderdale which was one of the first flights to land in the morning – touching down just after 06.00. My plan was to head straight into the office and do a day’s work. 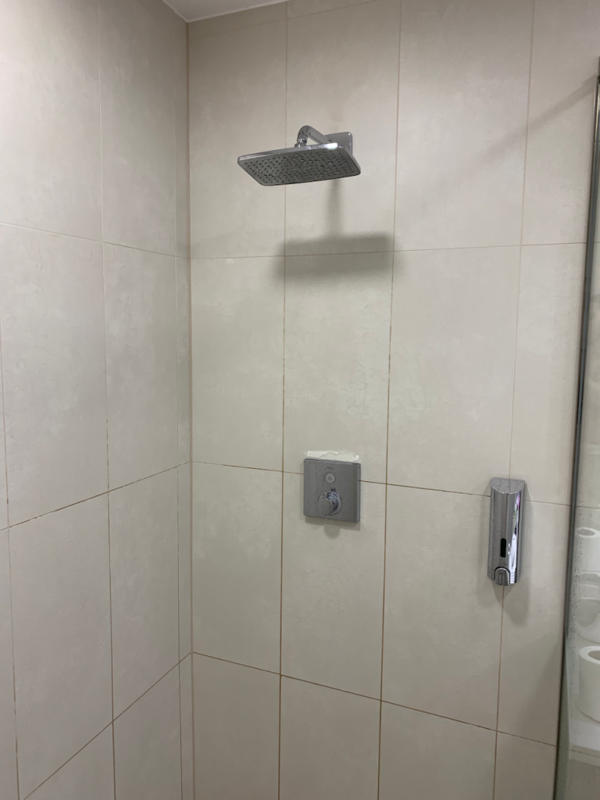 That’s where the Regus lounge comes in – they have showers! 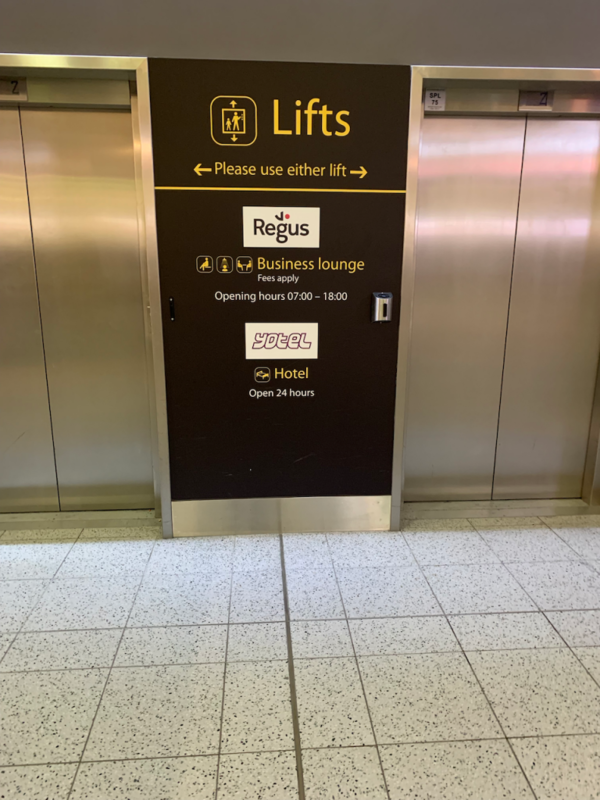 As you come out of international arrivals, there are a couple of lifts, which you need to take down to get to the lounge (and also the Yotel Hotel). Unfortunately, it only opened at 07.00 and being carry-on only, I was out and land-side by about 06.20. So I sat in the Costa Coffee, slowly caffeinating for the day ahead. At 07.00 I went down again, but annoyingly it still wasn’t open. About ten minutes later a rather flustered member of staff arrived to open up. A quick scan of my Regus membership card later, she was pointing me in the direction of one of the showers. 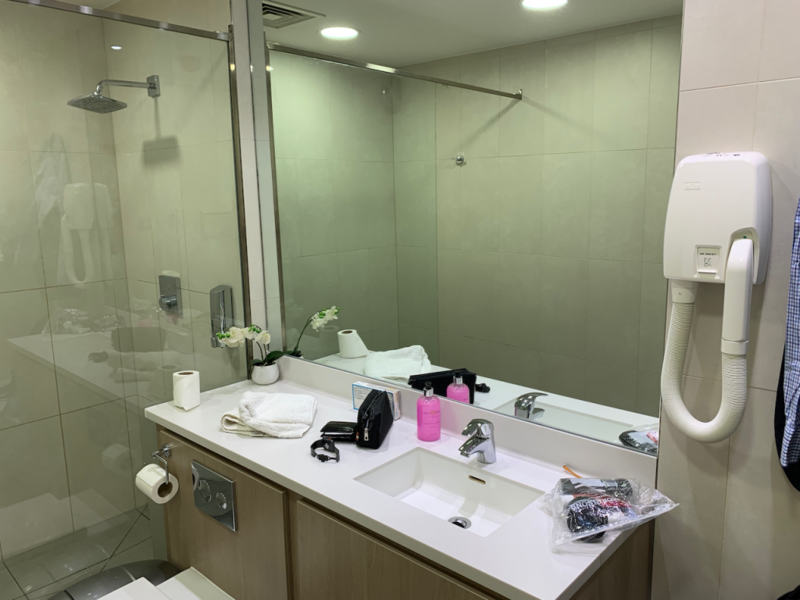 Everything you need was provided including clean towels and shower gel. It was exactly what I needed to freshen up for a day at work after a trans-atlantic flight. 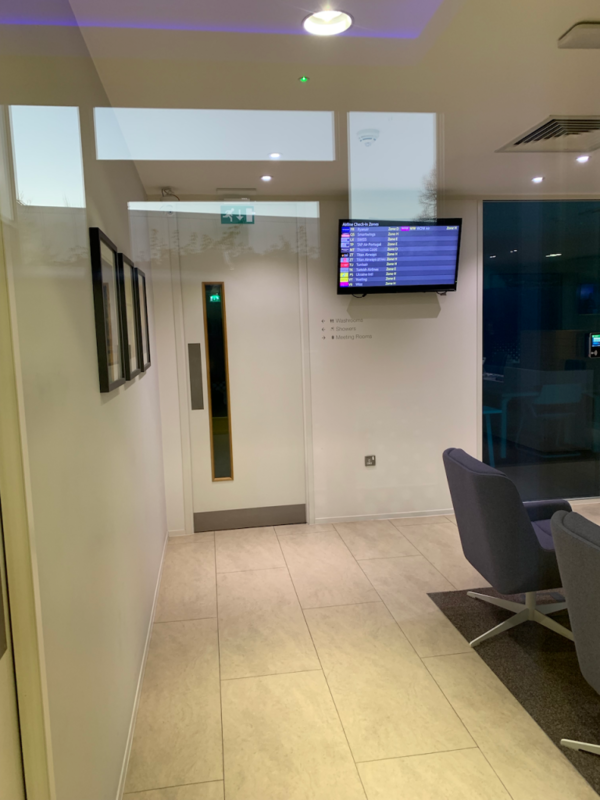 The main part of the lounge has everything that you’d expect a Regus to have including Wi-Fi, work desks, bookable meeting rooms, as well as tea and coffee. Whilst not as fully featured as a true Arrivals lounge as the major airlines provide at Heathrow (and elsewhere) in that there wasn’t any breakfast options, nor any suit pressing service, it did the job. I’d definitely use the facility again if I had the same situation. 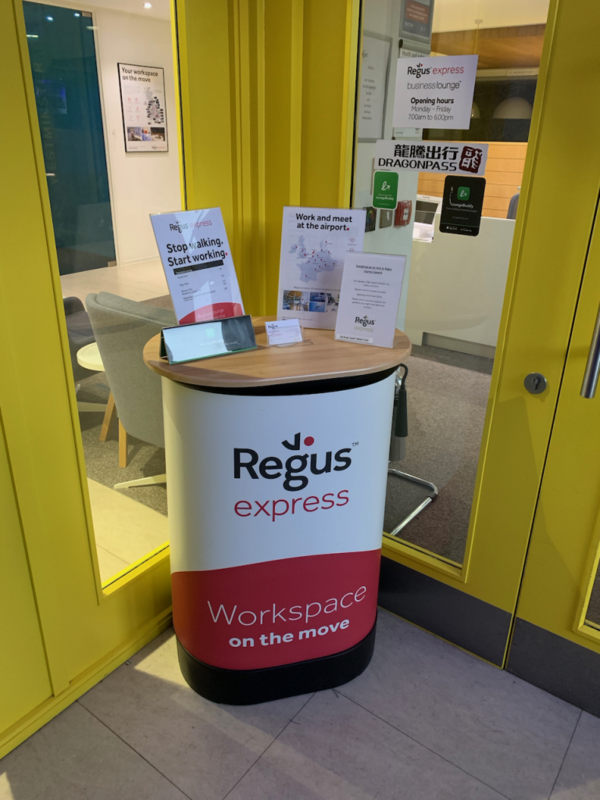 If you don’t have a Regus membership then you can still use the facilities for a fee, or with a number of the lounge access schemes. Previous Post: Hilton Doubletree. Fort Lauderdale. Next Post: United Air Lines abolishes award charts.